Rob took his students to see Girlhood. He has stolen their insights and will now present them as his own. There are a number of universal themes in storytelling: true love, the horrors of war, the pursuit of justice. Writer/director Celine Sciamma has made a career of one in particular: the mind-numbing, earth-shattering, desperate aimlessness of youth. Ms. Sciamma's previous films, Water Lilies (2007) and Tomboy (2011), follow young people as they explore sexual awakening and gender identity. 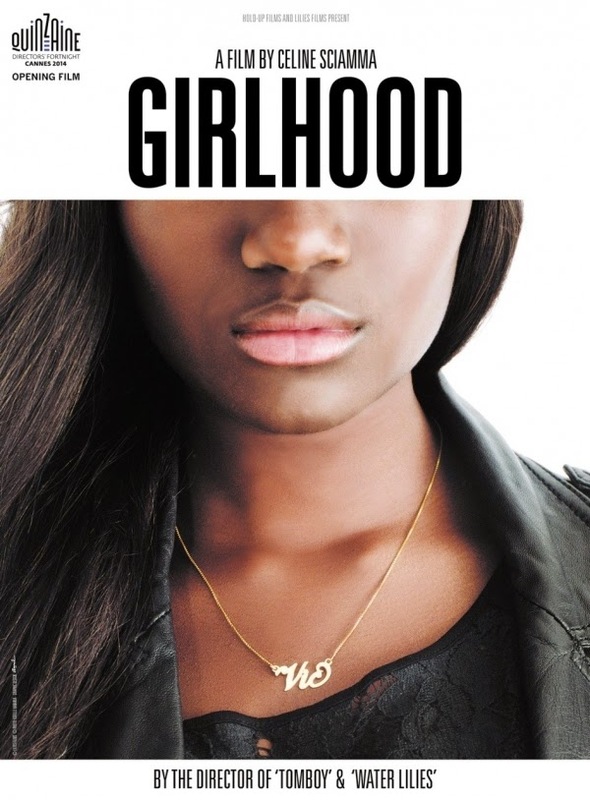 She continues that trend this year with Girlhood, a film I was lucky enough to see thanks to the Philadelphia Film Society. It's captivating, aggravating, uneven, and leaves a bit to be desired. Clearly a metaphor for life as an adolescent. The film follows Marieme (Karidja Toure), a muted young lady trapped in the domestic horrors of her Parisian housing project. Her mother is absent, her brother is abusive, and her younger sisters are underfed. We expect a bright spot, right? Her grades? Nope, they're poor (so much so that she's looking at vocational school as her only option). Her friends? Nope. Striking out there, too. She can't even finish a game of FIFA without being interrupted. Still, she's kind and observant and we want her to succeed. With little else to look forward to (and hoping to catch the eye of her brother's friend), Marieme joins up with the local gang of Hard Chicks: Lady, Fily, and Adiatou (Assa Sylla, Marietou Toure, and Lindsay Karamoh, respectively). They take her shopping and teach her to dance. We know where this is going: Things are going to get rough. Relationships are going to be strained. Responsibilities are going to be shirked. The girls instill in her a mantra of righteous independence, dubbing her "Vic" (for Victory). It's just what every young person wants to hear: I am the center of the universe. I have the power. I Do What I Want and I Say What I Think and You'll Just Have To Deal With That. There's a Marilyn Monroe poster somewhere with Vic's name on it. And of course it all goes wrong. Vic alienates her siblings. She stays out late. She shoplifts. She gets into street fights. She "bags" her brother's friend (which earns her a swift beating). The debauchery and violence actually pale in comparison to American parables like Spring Breakers, but we still shake our heads at our little girl adding rum to her Coke and donning a new leather jacket. It's a bit refreshing that Ms. Sciamma relies on simple indiscretions like these to illustrate how low our heroine has sunk. There's a particularly great scene in which the girls dance to the entirety of Rihanna's "Diamonds" in stolen party dresses (the anti-theft tag stills on, of course). It took me a minute to realize that this was the "depths of irresponsibility" scene, something reserved in other films for cocaine binges or haphazard murders. Here, we learn the lesson without being horrified. That the themes are universal does not mean the presentation is uninspired. I have no patience for films like Tiny Furniture or Frances Ha, self-indulgent nightmares that want so badly to convince us that the Ninth Circle of Hell is a wealthy mother's Manhattan loft. Surely we all must understand the plight of the overfed art student. She has to scoop the cat litter, for chrissake! 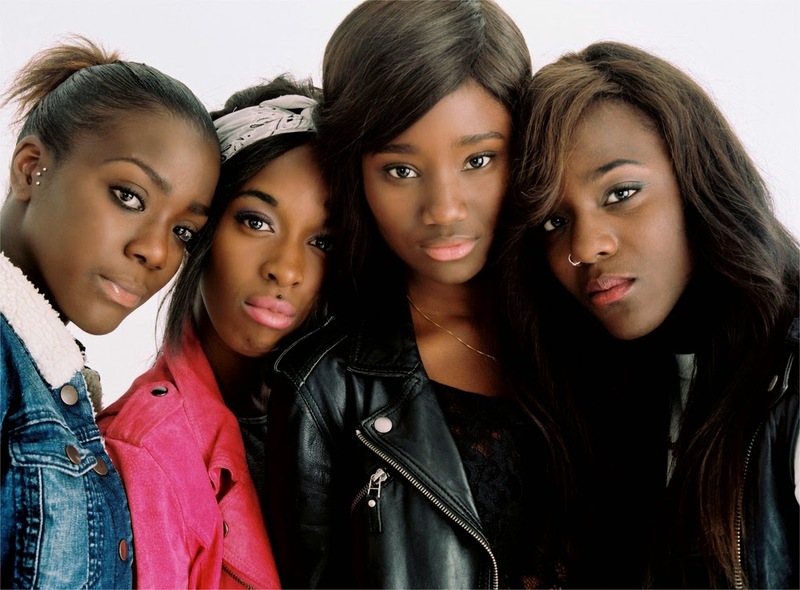 Girlhood presents us with relatable circumstances and believable settings. Notably, almost no attention is drawn to its use of an all-black cast. The white director avoids exaggerating stereotypes and presents her characters without comment, excepting one moment in a retail store in which a clerk follows the girls around. Their (admittedly appropriate) reaction is part of Vic's initiation. No further illustration is needed. The film is episodic and makes great use of gender symbolism ("Lady" loses her long hair after losing a fight, and Vic strips an adversary of her bra to signal her victory). The electric opening scene, in which a group of young women play full-contact American football to blaring rock music, means nothing to the narrative but tells us loads about what is to come. Ms. Sciamma also quietly confronts the double-standard placed on young women: Vic is seen by the other boys as slutty just because she sleeps with her boyfriend, sure, but she also rejects his proposal and promise of a house and children. That's not her life. By the end of the film, Vic has moved onto drug-running and alternates between a bad blonde wig with high heels when making deliveries and a sweatshirt/khaki ensemble when she's collecting. She's even begun taping down her breasts to avoid attention. This gender dichotomy is only natural. After all, women are treated with nothing but disdain in Vic's world. Why wouldn't she want to escape? The young cast is mostly charming, though I'm not sure Ms. Toure is asked to do enough to show off what is potentially great range, and her character is too passive for many of the themes to take hold. She's stuck alternating between a bashful smile and a shameful downward glance. Still, she's one to watch. The rest of the girls are believable and fun. The film sports a wonderful soundtrack which, when combined with some choice fade-ins and outs, creates a kind of beat poetry. It's possible that my only technical complaint concerns the cinematography: It's a perpetual string of medium close-ups. Is this claustrophobia part of the realistic aesthetic? Possibly, but it still makes me dizzy. Girlhood wisely ends on an ambiguous note. There's no real story arc here, and a quick third-act attempt to settle an insignificant plot line would have been shallow and ill-advised. Vic doesn't have an arc. More like a long, straight line. My lasting complaint is that I never believe that she has no way back to regular life. I never fully buy her detachment from society. Why can't she get a job? Perhaps that's my crotchety world experience talking. What's appealing to a teenager about a regular job? Children are supposed to dream. Why not dream of this?